Summary from Goodreads: Russia is on the brink of great change. Pasha’s coronation approaches, and Vika is now the Imperial Enchanter, but the role she once coveted may be more difficult—and dangerous—than she ever expected. The Crown’s Fate was so good! Seriously, one of my new favorites. I absolutely loved the Crown’s Game (I think I gave it like 3.5 stars because of a few things that annoyed me, but I still really loved the story), but its sequel was even better. 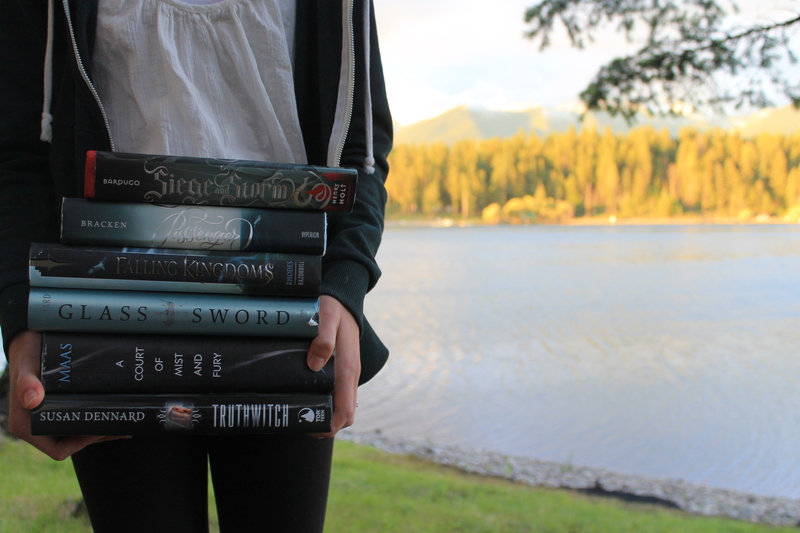 I love the characters and the setting and the writing and the plot and honestly I just love everything about these books. And now I really hope Evelyn Skye writes more books set in Imperial Russia because I am obsessed. After the Crown’s Game has come to an end, Vika is now the Imperial Enchanter. And while everyone believes Nikolai to be dead, it turns out he’s not. He has just enough energy to come back as a shadow of sorts (I honestly have no clue how to describe this). Nikolai, now knowing that he is the son of the late Tsar, believes that he should be the one to become the next Tsar, not Pasha. Not only is he trying to take the throne for himself, but now there’s a bit of evil magic in him that is turning him into a worse person than he is. Vika finds herself caught in the middle of all of this, as she is bound to serve Pasha and the Imperial family, but she still loves Nikolai. Vika is still my favorite character. She’s so strong and fierce, yet very kind and I love her. She has developed so much since the beginning of The Crown’s Game to now. Like I said, Vika is such a strong person and she’s willing to fight for what she believes in. I hate when characters hide in the background instead of standing up for themselves, and thankfully Vika is not one of those people. And on top of that, she’s extremely kind and selfless. You can tell that Sergei’s death and the way the game ended really broke her, but she was able to come out stronger from it all, and I really love that. “And as the idea of wearing the crown settled into Nikolai’s mind… there is was. Magic. Like a cold flame, flickering inside him. He seized it and felt it swell. Hmm, Nikolai is still one that I have mixed feelings about. He changed so much from what he was in The Crown’s Game, but not exactly change like character development? It was more like him almost dying changed him and now he’s a terrible guy. He wasn’t exactly terrible at the beginning, but over the course of the book, some things happen that just make him even worse. The ending of the game ruined him even more though because he almost lost the girl he loves because of his best friend, but ended up losing his own life instead. Well he almost lost his life, because he was trapped in the bench that I believe Vika created in the last book. So when he has enough energy to escape, he’s furious with Pasha. My feelings on Pasha haven’t changed much since the last book. I like him personality wise more than Nikolai, but I don’t like him with Vika. Pasha is kind of reckless but he’s also so down to earth and caring. He’s always wanting to do what’s best for his family and friends, even if it’s not the best for himself. And his sister, Yuliana, is totally awesome because she basically has to run the kingdom for her brother while still being stuck in his shadow. I love both of them individually and I love their family dynamic. The magic in this book was so cool. Honestly not as cool as it was in the first book, but I still loved it. The magic is also a lot darker (with Nikolai becoming this dark, evil thing and all…) too. So there’s not as much of creating beautiful dresses and islands for the game to show off. But I did love how much the magic develops in this story and how we learn more about it and what the people think of it. At this point you may already know about my historical fiction (especially with fantasy elements) obsession. Well not only is this book set in 1825 but also in beautiful Imperial Russia in Saint Petersburg. Evelyn Skye clearly did so much research because she makes the setting seem so real (well it is a real place, but you know what I mean) with her writing and just the perfect amounts of detail. I’m hoping she writes many more books set in Imperial Russia though because she does such an amazing job with setting. Oh and the writing is still so beautiful. Not beautiful in a sense like poetic, though. I just love Skye’s writing style and how she weaves magic and setting into it so effortlessly. I didn’t love the writing in the previous book, but in this one I really did. Skye’s writing style isn’t my favorite, but I love it and I think her style fits the story perfectly (seriously, I don’t think I’m making any sense right now). “He’d thought that being two of a kind tied their fates together. He’d thought, at the game that she loved him. I still have mixed feelings on the romance. It was a lot more in the background in this book since everyone is focused on Pasha becoming tsar and all the troubles hanging around it. So Pasha isn’t busy falling for Vika and same goes for Nikolai. I still feel like both romances were kind of rushed and forced and that Vika doesn’t really love either of them. But I don’t know. If I did have to choose one side though, it would be Vika and Nikolai. My one main complaint?? There wasn’t as much of Ludmila in this book than in the last. There were a few super sweet scenes with her and Vika, but not as many. She was my favorite character before, but it’s kind of hard to say she was here because we saw so little of her. And less Ludmila also means less food and desserts 🙁 But i’m really not complaining that much, because this book was still amazing. 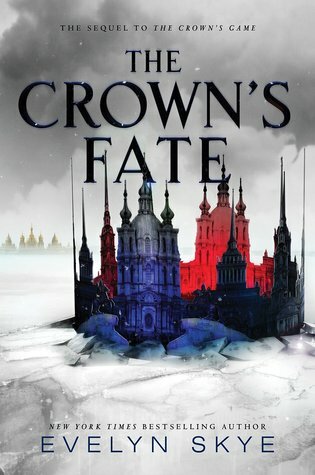 Overall, I absolutely LOVED The Crown’s Fate! I’m sad that the series is over already. The magic, setting, and writing is all so beautiful and the characters are extremely well developed. I also really loved how fate was a constant topic and changing fate, whereas in the last book it was all focused on the game. I can’t wait to read more from Skye now! Yay, I’m glad 🙂 I hope you enjoy it as much as I did. And thank you, Zoe!